Swirls won't come out after buffing. Today I bought a random orbital buffer, as well as a polishing and finishing pad. 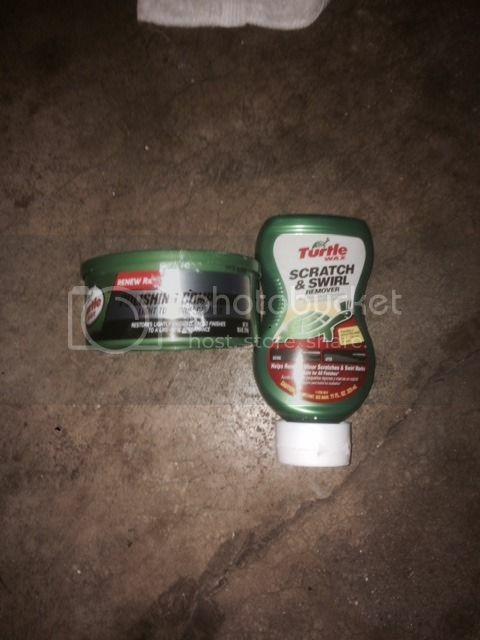 I had 2 unopened things of TurtleWax (Scratch & Swirl Remover and a Light to Medium compound, pictured below). I am tasked with removing water marks and pretty substantial swirl marks. I spent about 2 hours buffing out 3 different 1 sq ft sections tonight, switching between both the products hoping to get better results. On the sections I buffed, the water marks came out completely. However, the swirl marks do look A LOT better but they are still pretty darn visible. I’m by no means hoping to make this paint look like it was fresh from the factory, but I was hoping to have a little less swirls. What should my next step be? 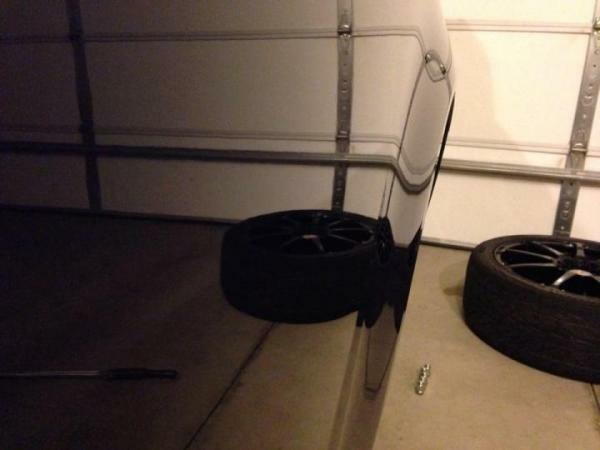 I will pretty much be doing this on the entire car. Should I try a more abrasive compound? Any help or recommendations would be greatly appreciated. 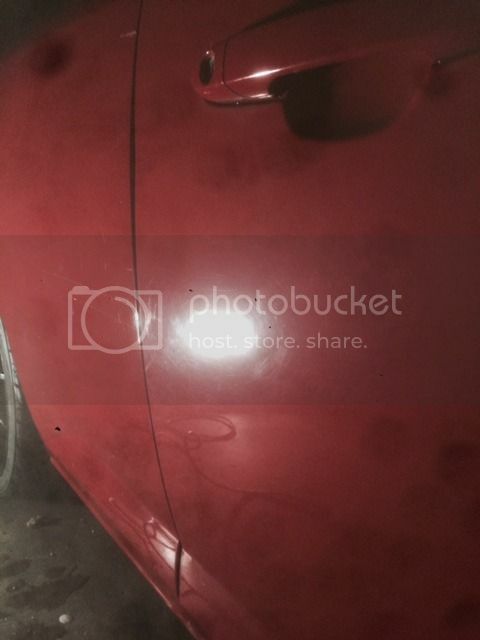 I’ve attached pictures below showing the difference between the unbuffed door, and the quarter panel that I buffed. Sorry they aren’t the greatest, but you should be able to get a good idea of what I am working with. What brand of random orbit buffer did you pick up? Also get a better polishing product than Turtle Wax light to medium compound and their scratch and swirl remover. Its a Black and Decker one I picked up at Lowe's. Should I just switch to another brand of compound but still use their light to medium product? I read a lot of good things about Meguiar's Ultimate Compound... Time and effort isn't really an issue since I enjoy working on projects after work everyday. 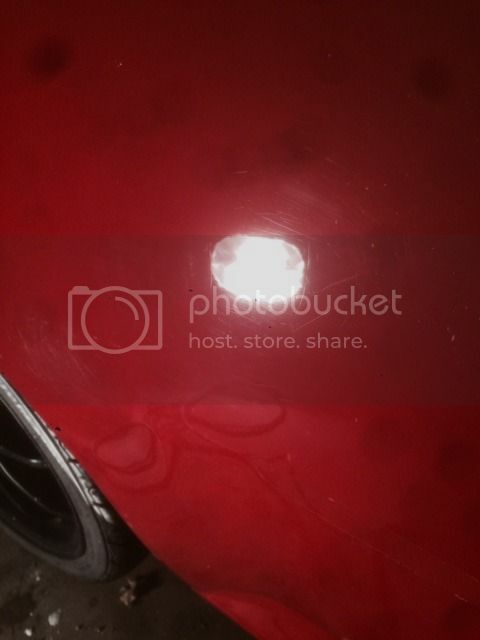 I use Meguiar's 86 compound when removing imperfections from customers paint. Mequiars also has a nice swirl removal compound. which of the 2 would you recommend based on the pictures of my car? Also, do you follow either of those up with any other compound or just throw some wax on top of it once the swirls are gone? #86 to get the harsher marks out of the paint. Once cleaned up, I'd use the swirl remover for any fine swirls left. I usually always polish and wax after as well. Alright I will try that. How much time would you say you would spend buffing a 1sqft section? I feel like I spent 30 minutes on each one last night just to get the small results that I did, but it seems like I wasn't using the right product to be fair. How much pressure are you using on the buffer? I'm assuming you're making a back and forth crisscross pattern? I am doing the back and forth crisscross pattern that was demonstrated in all the tutorial videos I watched, and am putting light pressure on the buffer. I read somewhere that about 15lbs of pressure was best. I didn't feel like spending $150+ on a buffer, so hopefully using some stronger compound will work better. You need to take your time. In total for a good detailing job you should take about 8hrs if you want a decent job. Do 1 panel at a time, 1sq ft should take at least 5min. Do not push down hard, you want pressure down but not a lot. Follow the same pattern and do it until it's gone. You use the cut and then the polish and then you put a sealer on it. You have to get into a rhythm and keep the pad completely flat, you'll easily burn up your paint or create hologram like swirls. You should keep practicing it'll take time but don't stay in one spot too long. And make sure the liquid is spread evenly on the pad (not too heavy) and then spread it in 1sq ft of area you're polishing. is it best to buff the entire car, then polish, then wax. 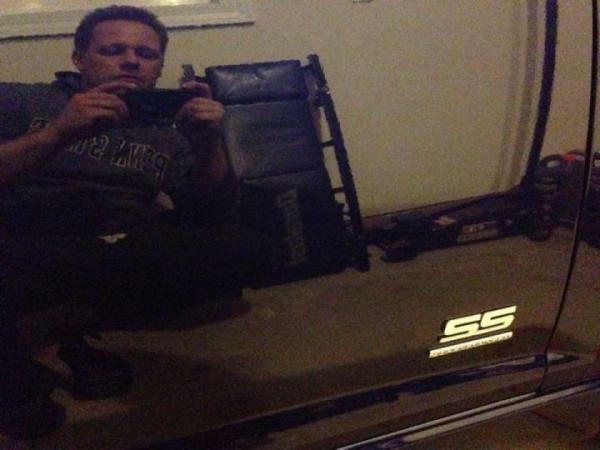 Or to buff one section (quarter panel for example), then polish, then wax, and then move on to the next section? all of this is great info. try the meguires stuff because thats a little more readily available for you then the adams but adams stuff is amazing. also make sure you keep cleaning the foam pad as well with a little brush. also try bumping up your speed too because you may not be running fast enough but dont go too fast because youll generate heat and eat through the paint. you can always wet sand the car too lol. Auto geek usually has really low prices for compounds and polishers like this. Just order it online there. And if you do one panel at a time and take your time you're sure to do a better job that trying to do the entire car in one day. Do a few panels a day. You can do the whole car in about a week of you take your time. Do you want just average results? Or the best results. The more time you put into it, and focus on how the surface looks, you'll have better results. Use different microfiber pads for polishers and compounds. correct, to add to my post. buff the whole car, section by section. THEN wash it after, whole car again, not piece by piece. Yes also very good point you need to make sure there is NO DIRT OR NO GRIT before and after you do any of this and moving through the steps. Does the random orbit still spin? If it's spinning you're not pushing hard enough. It could also be the pads that it has, I'm going to assume they're a pretty mild foam or mircofiber so you won't be cutting to deep into your paint. The time to do a full correction is completely dependent on your equipment and polishes being used. I can do a full correction on a cobalt in about 3h with a Flex polisher, a lot faster than any random orbit. yes i use ivory soap before detailing any car this really helps the process as well. Ecaulk do you use the dawn and water in a spray bottle and spray it on when using the clay bar??? Sometimes, other times I'll just splash it. I've been using some old Adam's Detail spray and Waterless wash I dilute down. I honestly like the diluted waterless wash better than the Detail Spray. 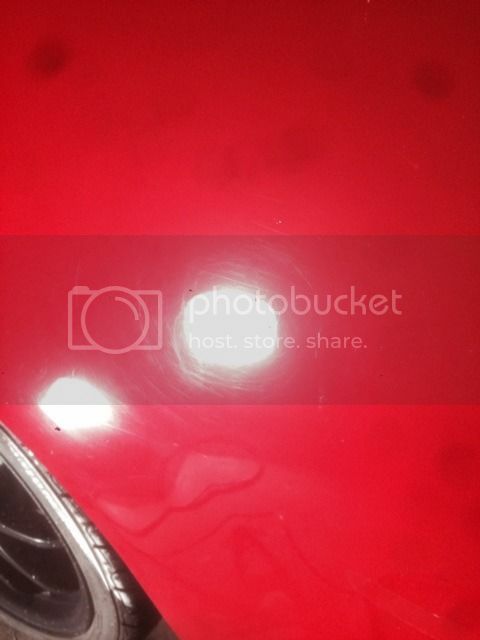 Quick Reply: Swirls won't come out after buffing.